Artist Recording Studio Etiquette and Why It’s So Important! I attempted to sing one of my favourite songs, accompanied by my friend playing acoustic guitar with a small audience of two or three people. One of those people will today serve as an example of what not to do. I knew I wasn’t an excellent singer, I wasn’t even trying that hard, I was mainly trying to imitate the singer from the actual record, but this audience member proceeded to laugh and mock heavily on my attempts and it pretty much broke me. Prior to this point, I’d been a keen school choir member, I’d had no reservations singing in front of hundreds of people in the school hall, yet this one reaction took the entirety of my confidence away from me. Since that day I’ve only ever been able to sing alone. I even go a bit red when i let people hear my personal recordings. This is a fear I one day plan to conquer, but for now lets talk about how it relates to studio etiquette. Vocalists need to feel the song to record an excellent take, they need to look deep within themselves and find the emotion they were feeling when they wrote the piece, so that that emotion can be conveyed to the audience. Similarly Rappers need to feel the emotion, be it a certain level of ego to get the track sounding hard, or the solemn truthful accuracy of a storytelling type piece. Lets take a look at a couple of situations. In this case, the artist knows the direction they are going in, they have a plan and a vision of what they want the final piece to be. 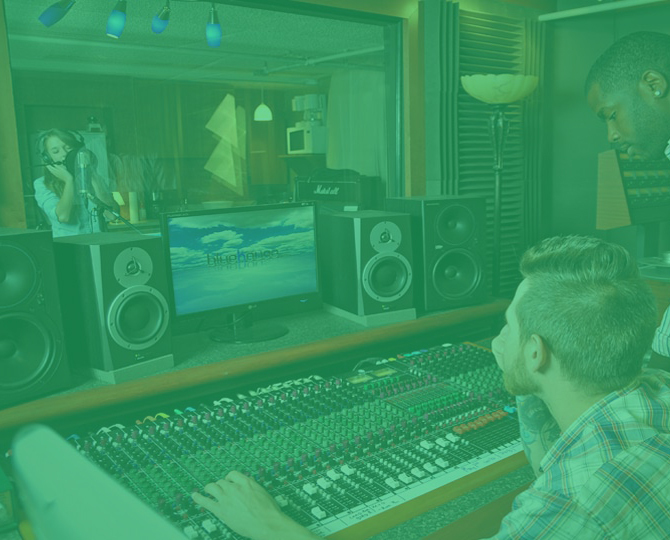 As the mix engineer you’re role is to be the liaison between the mixing board and the artist, taking every decision they make on board and trying to achieve that with your mixing skills. This is a situation where you are seen as the equipment and possibly a trusted ear (if they ask for it). You aren’t there to critique, you are there to make the artist feel comfortable, achieve the mix they are looking for, and make them feel good about what they’re bringing to the table. In this case, there must be mutual respect and a balance of critique, opinion, and the complementary. The artist has a vision but is open to being guided by the producer. The producer has a strong vision and a strong sense of wanting to guide the artist to the finish line. This is a situation where, as the producer, you are there to bounce ideas around, critique whilst maintaining the artists ego, and guide the artist towards achieving YOUR goal, all the time having the artists best interests at the forefront of your mind. This can be a tricky situation and you will know after a couple of sessions whether you are the right person to be in this situation or not. Some people don’t have the tact. Add in the fact that as the producer in 2017 you are probably also fulfilling the role of the mix engineer as well, at least to some point, this means that your attention has to be divided up between the artist and the mixing board, and the game gets a bit more involved. In both cases, its plain to see that the artist comes first, and that’s how it should be. Emotion, Ego and Self Doubt are very dangerous fragile things. Learn how to be the nice guy that is good at his or her job. Stay humble, master your craft, and focus on helping others achieve the result they want. Visit ItsTommyNutter for more blog articles. Visit my Beat Store for Instrumentals and Free Downloads.